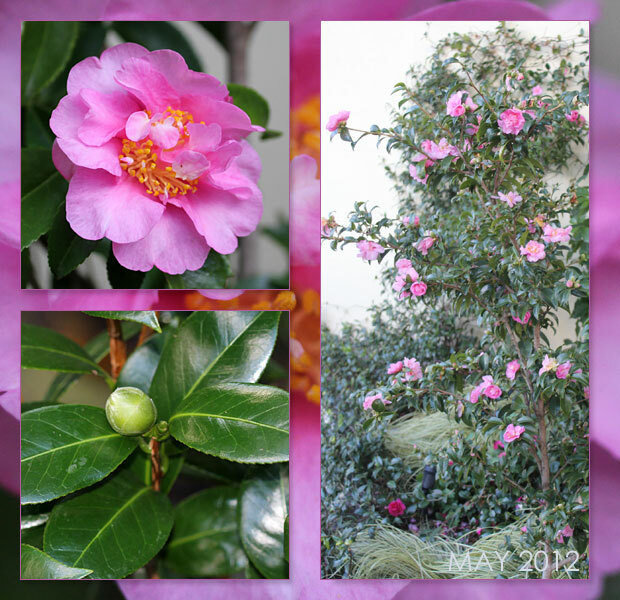 My shade garden in the middle of winter would be dull indeed if it were not for the bursts of colour provided by the Camellias known as ‘The Empress of Winter’. Another fabulous foundation plant in my garden, Camellias are wonderful evergreen shrubs or small trees that provide seemingly never-ending large blooms in hues of white, pink and cerise, even red. Any post I do in winter seems to feature at least one or two of these beauties. 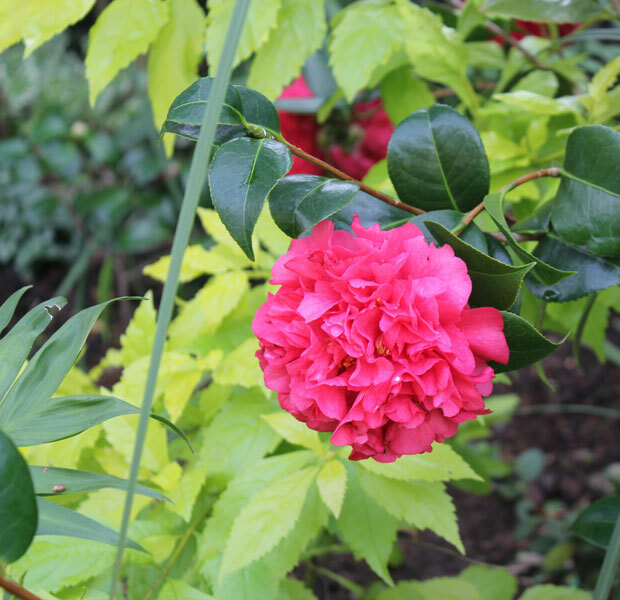 This year the red Camellia is holding onto its saucer sized blooms for weeks on end providing much-needed cheer and colour where otherwise there would be … well nothing! Diana of Elephant’s Eye asks us to profile our twelve favourite plants. The ones we could not do without in our gardens. Camellia is a foundation plant in my garden – due to all the shade I would not have a colourful winter garden without them. They also require very little attention and reward me with what I consider “sophisticated colour” starting in April all the way through to August. This month Diana profiles Juncus – which she grows in her pond. 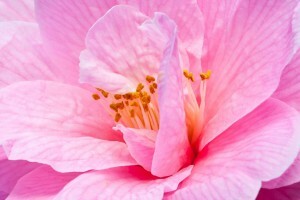 The genus Camellia comprises more than 250 species. Among the ornamental species, the Japanese Camellia (Camellia japonica) (which despite its name is also found in Korea and Eastern China) and Camellia sasanqua are perhaps the most widely known, though most camellias grown for their flowers are cultivars or hybrids. I consider Camellias “investment” plants. You know how they talk about “investment dressing”? That designer coat with the high price tag that is considered a justifiable expense because it will last for years and years? 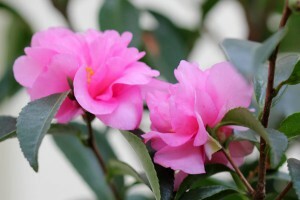 Well that is how I view my Camellias. A higher price tag than the average plant, Camellias will grow and mature, getting better and better every year until one day … you might have a specimen or two to rival the amazing Camellias at Vergelegen Wine Estate (The outstanding collection of over 1000 Camellia bushes at Vergelegen have been recognised as an International Camellia Garden of Excellence by the International Camellia Society). 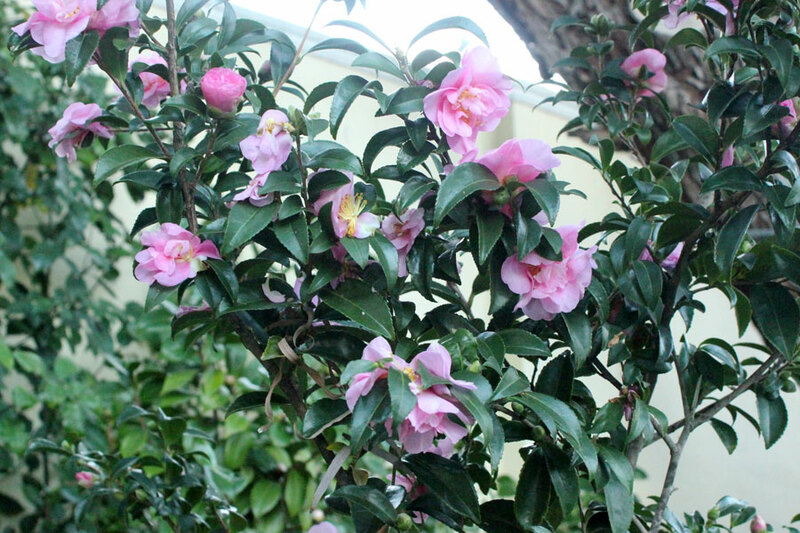 I’ve seen 30-year-old Camellia trees that are absolutely magnificent in full bloom. There is nothing quite like it. 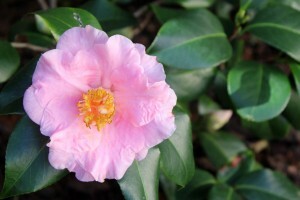 According to the Royal Horticultural Society, Camellias are one of the most popular winter and spring-flowering shrubs. Although they need acid soil, they are easy to grow in containers of ericaceous (acidic) potting compost. Mine are all in the ground, and I have lots of them. Camellias are woodland plants that grow best in shelter and light shade, although with careful watering they can be grown in sunny positions. 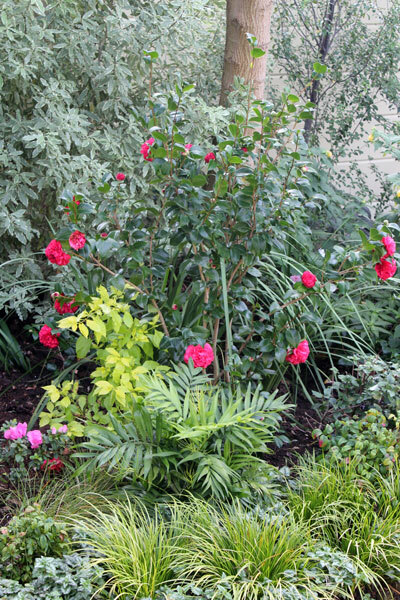 They prefer free-draining conditions, with plenty of organic matter, such as leaf mould, incorporated into the soil. I make sure mine are well watered and always have plenty of mulch. What are your favourite plants? The stalwarts that provide the backdrop to your garden? Diana of Elephant’s Eye invites you to write a plant portrait each month. “I challenge you, in 2012, each month choose a plant. Archived pictures of flowers, berries, autumn leaves, wildlife endorsing your choice. Start fresh - what will be your signature plant?” Join Diana and friends on the 3rd Friday every month and showcase one of your favourite plants and see what others have chosen as theirs! In January I profiled Carex evergold as my signature plant and in February I raved about the Pittosporum eugenioides ‘Variegata’. In March it was Dietes grandiflora and in May it was Clivia that was featured. Next month we will look at the bulbs I love so much. Come back and see! Amazing that these grow in winter…very popular flower and one I have never grown. Fabulous to have Camellias in Winter. Not many of them grow well in the North of Scotland except for some of the Williamsii ones. Having said that one of our Japonicas this Spring did quite well after the mild Winter. 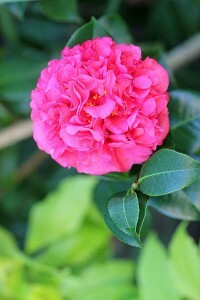 Thanks so much for linking to my camellia post. 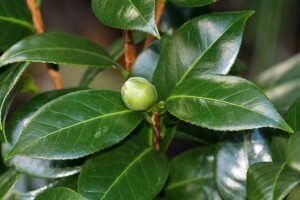 I just started growing camellias in the last couple of years but now I am worried that I am an addict. They really are great for hot dry conditions which seems to be our new weather pattern. The rhododendrons take a beating while the camellias look pristine. Hi Carolyn – I have found that too – some of my Rhododendrons take a hit in warm weather and look terrible – but then seem to rally and come back look fabulous in Spring. I have had to move a few to cooler/shadier spots though. 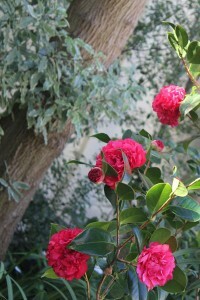 Diana asks the question whether Camellias have a fragrance – I have to say “not really”. Is that your experience too? These are SPECTACULAR!! Something to envy. and they will get better with age. You are so lucky to be able to grow such a beautiful plant in winter. It would certainly lift my spirits. Apparently there are a few very cold-hardy varieties that can grow here (in St. Louis), but I still think of Camelias like most citrus: something I’ll only be able to grow if I relocate or get a HUGE greenhouse. Lovely though. Thank you Alan – They are lovely! 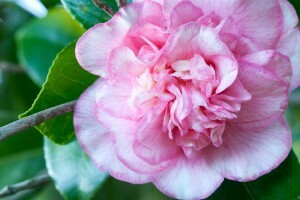 I love, love, love Camellias! Thanks for sharing because I can’t grow them here. I’ve never grown camellias. Are they fragrant? Certainly the flowers give spectacular colour. Would be welcome on a grey day like today. Makes me think of Traviata, the lady of the camellias.